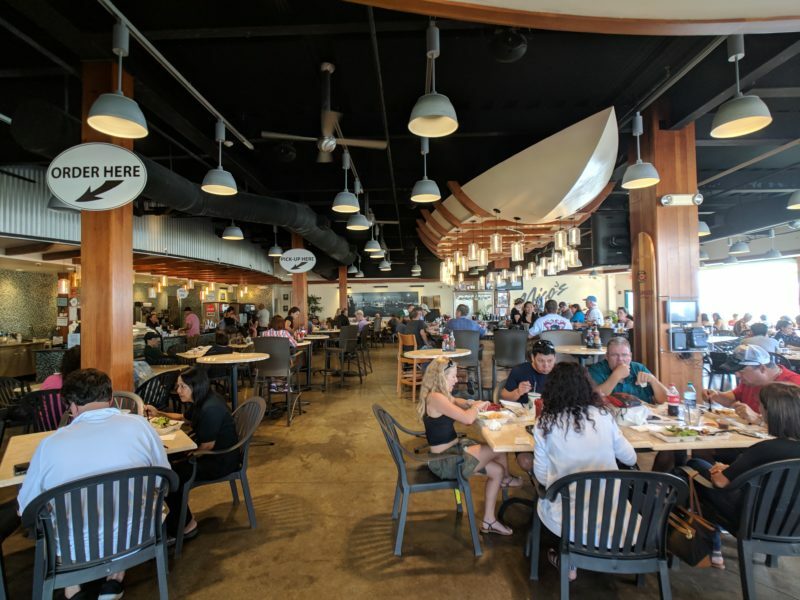 Nico’s Pier 38 is one of the top places to go for great seafood in Hawaii. This is the same area that our local fish auction is held (the only fresh tuna auction in the U.S.) so fresh fish is always on the menu here. They do a great job of mixing seafood with local flavors so it’s definitely a restaurant to put on your food list if you’re in Honolulu. Plus, there’s an awesome selection of poke (raw fish prepared local-style) right next door in the Fish Market if you’re really wanting to try a local dish! Nico's big signs are easy to find. Just follow the crowd! The main entrance is the 2nd Nico’s Pier 38 sign and behind that in the distance you’ll see POP Fishing. For those of you who like to fish and like to visit fishing stores whenever you travel (my Dad LOVES to do this), this will be a good stop for you. This is a huge warehouse of fishing supplies where everyone from fishing boats to local fishermen get their goods. It’s a great place to get an idea of the fishing that happens in our local waters. Local Tip: If you’re ever in Hawaii during the late summer and want to try some fishing, find out about the oama (baby goatfish). When the oama are biting, you’ll see the local fishermen with their families out catching these one after another. It’s a 100 per person a day and not only do they taste awesome (deep fried! ), they make GREAT bait. A huge banner of the fresh tuna auction that's held next door. Getting to Nico’s Pier 38 is pretty straight forward. City buses will take you right outside the pier and driving is also an option. Nico’s Pier 38 has a big parking lot and finding a spot will be easy even when it’s busy. 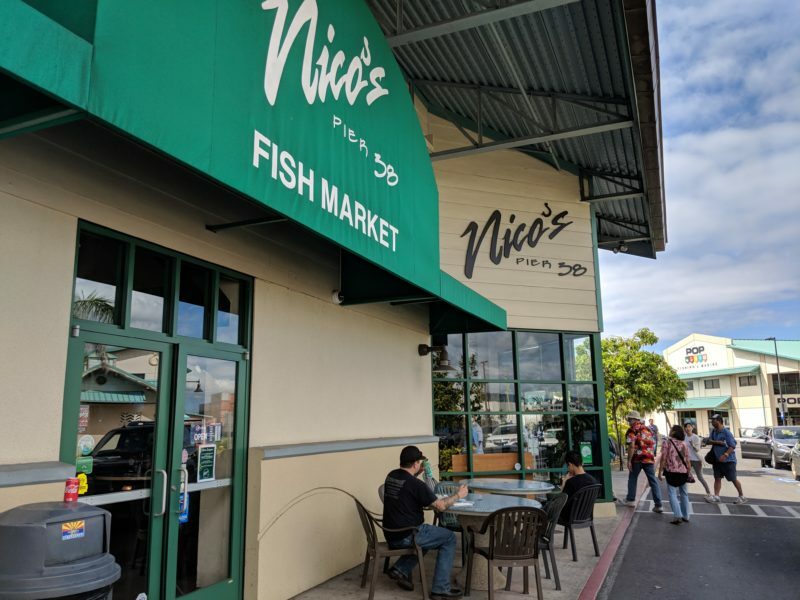 If you’re coming during peak meal hours, there are sure to be others walking toward Nico’s Pier 38 so just follow the crowd to find your way to fish heaven. It’s fairly easy to find your way from Waikiki and even an Uber will get you there for cheap. Your order is placed at the front counters where you’ll be given a buzzer to notify you of when your food is ready. In the meantime, it’s best to find a seat as soon as possible. You’ll have your choice of sitting at the bar or choosing between indoors or outdoors. But all are comfortable and each have their own perks. 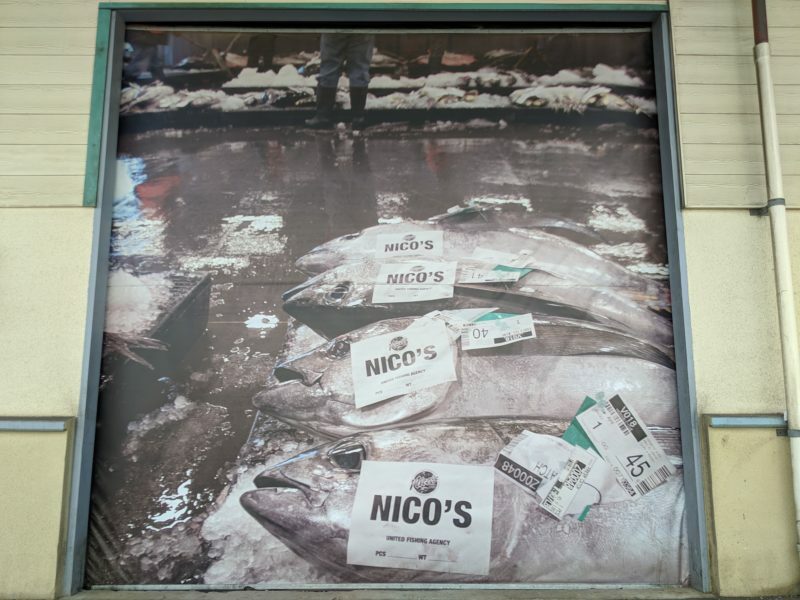 Local Tip: There are a couple other restaurants here but Nico’s Pier 38 gets the most attention (and rightfully so). I recommend getting here around 11 AM for lunch and 5 PM for dinner in order to grab a seat. This especially holds true Monday thru Friday as this is a popular spot for downtown workers to go for their lunch hour. They also have a happy hour from 4 PM – 6 PM. The bar is spacious and right in the middle of the seating area. 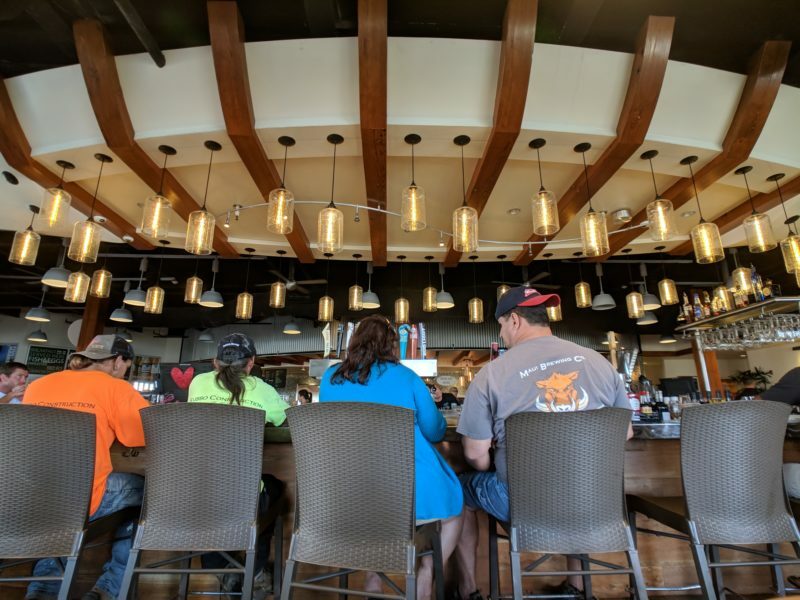 For those sitting at or near the bar, there are a couple of televisions available for you to peek at if the outdoor scenery isn’t enough for you. And although the rest of the room won’t have waiters servicing them, you will have a bartender here with a variety of bottled beers and beers on tap. This may be the perfect time to try a local brew as they are offered on tap. Their Bikini Blonde from Maui is a good one for something light and smooth. Click here for a list of Nico’s Pier 38’s available beers. Kitchens are on the left and outdoor seating on the right. Open windows let the tradewinds in and offer a beautiful view of the harbor. I completely forgot to take a picture of the outdoor seating for you, but you can get an idea of what it’s like in this picture above. The outdoor area is shaded under several umbrellas and on some days sitting outside is the better option if it’s particularly humid. There is plenty of shade to sit under and this seating provides an even better view of the pier and surrounding area – not to mention a stronger wind to cool you off! 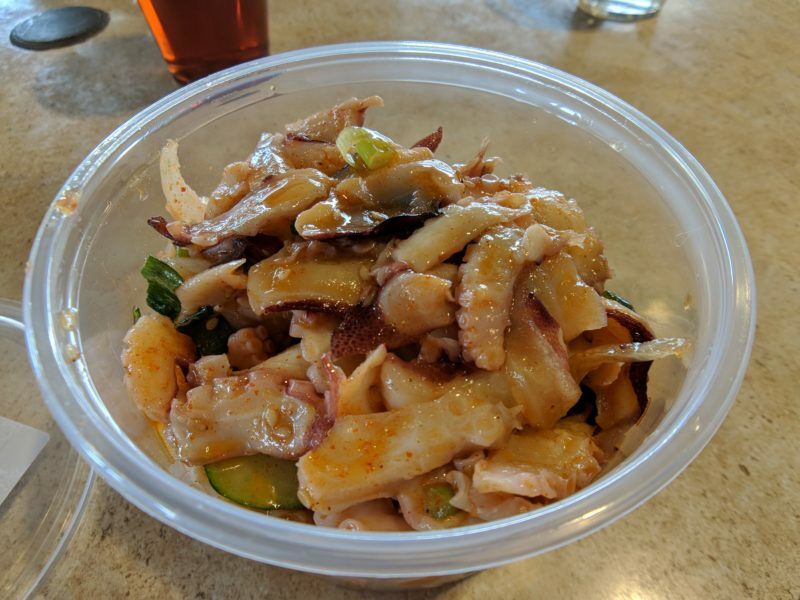 I mentioned poke (poh-kay) earlier in the post and we decided to order a tako poke (octopus poke) from the Nico’s Pier 38 Fish Market for everyone to share. Tako poke is a popular local favorite that I recommend if raw fish isn’t what you’re looking for. Tako poke requires cooking the octopus first so it’s a good first step into this local cuisine. If you are serious about trying some raw poke, I recommend any of the ahi (tuna) poke. If there ever was an “original” the shoyu ahi poke would probably be it. This is the one that’s most often brought to parties or to someone’s house. Here’s a list of Nico’s Pier 38’s poke. 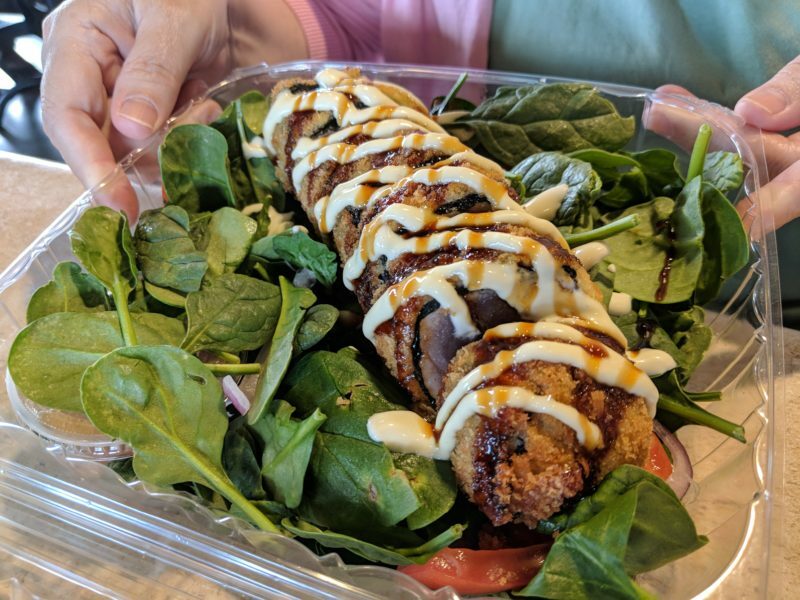 Local Tip: Ordering a poke with “limu” is another one you may want to try. Local seaweed is not always readily available and on somedays impossible to get! Here are a few photos of what my visiting family and I ordered. They love fresh fish so we stuck with an all-seafood menu. 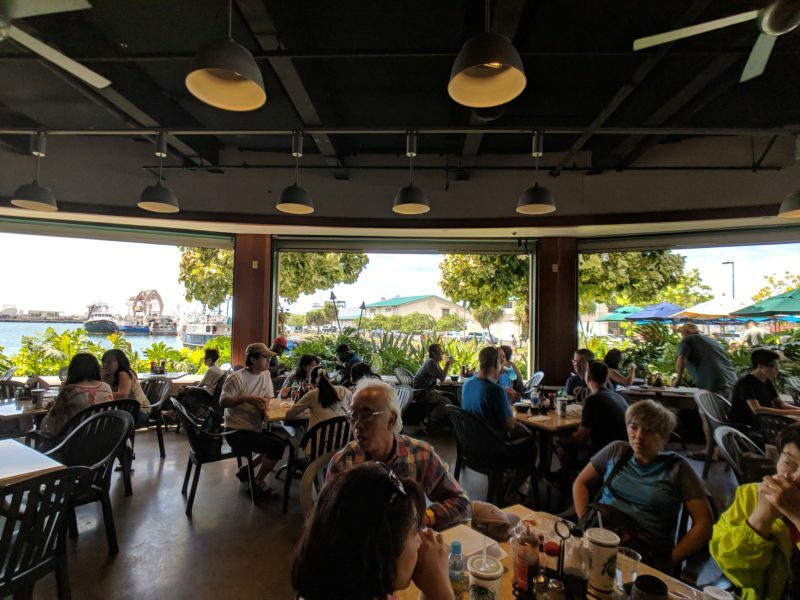 Keep in mind that Nico’s Pier 38 has many options for those who aren’t into seafood such as burgers, sandwiches, tacos and even pizzas. Everyone will be able to find something to munch on here. 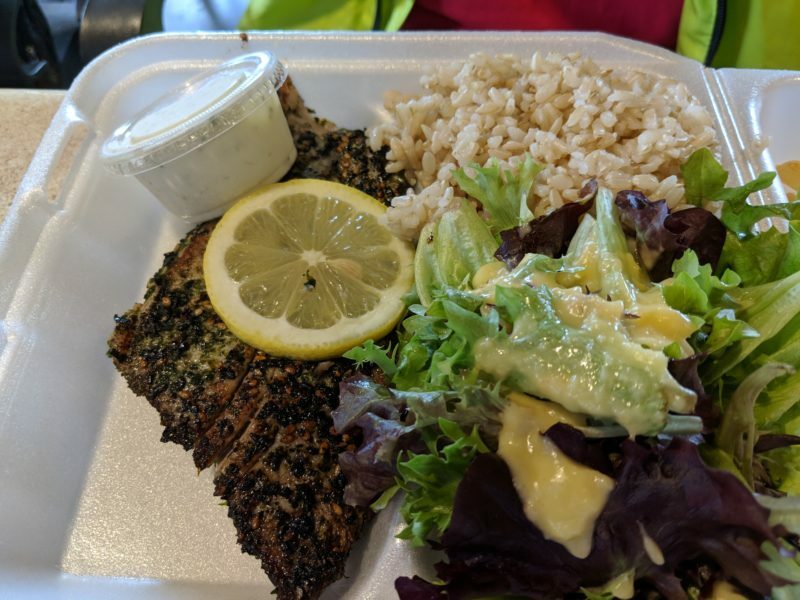 The Furikake Pan-Seared Ahi is one of Nico’s Pier 38’s most popular seafood dishes since it’s not something you’d often find at a seafood restaurant. Furikake comes from Japan and found its second home in Hawaii (probably because it was so delicious) and has become a staple rice topper for many families in Hawaii – mine included. There are several flavors and variations out there, but the most common is a mixture of seaweed and sesame seeds, which is what Nico’s uses to coat the tuna. Local Tip: If you fall in love with furikake and don’t have an Asian grocery store at home, check out stores like Safeway or even Wal-Mart. Furikake come in sturdy glass bottles or plastic pouches that you can easily take home. 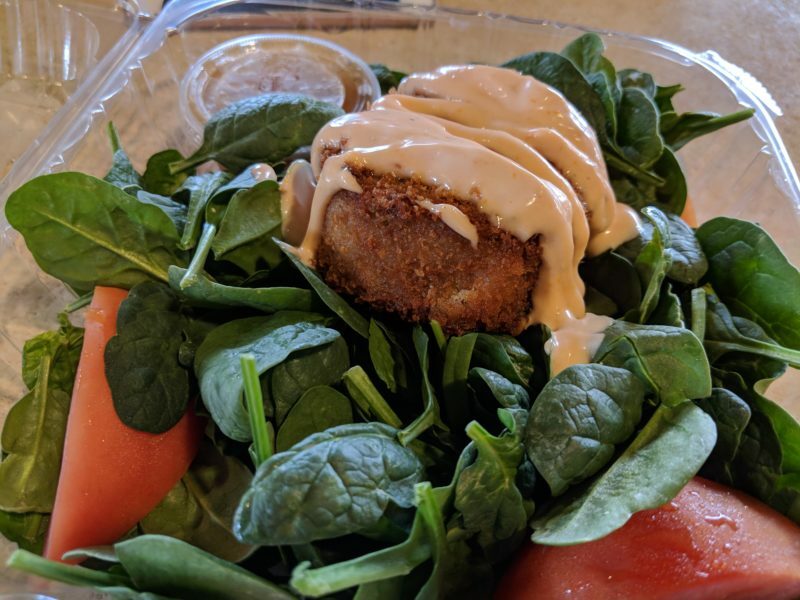 The ahi is flavorful in this dish and complements the salad nicely. 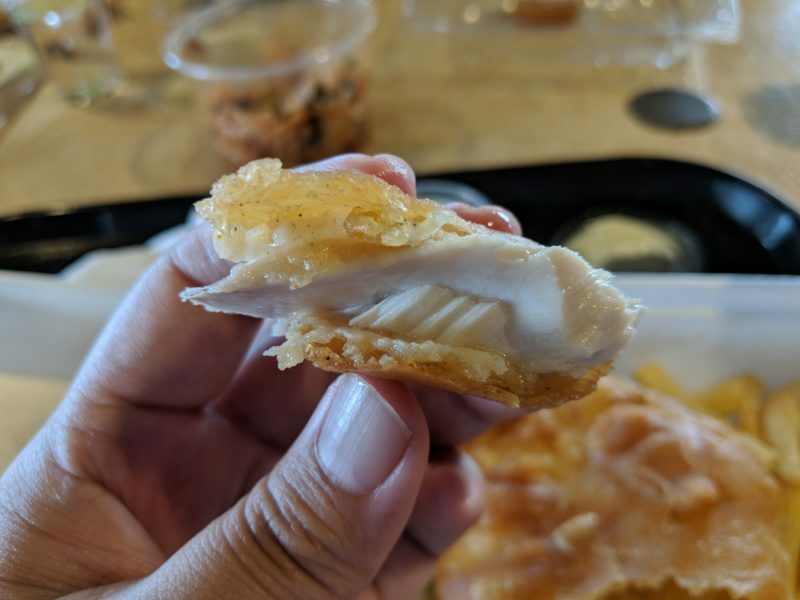 The inside is usually still raw (they are only searing it), so if you want this to be cooked thoroughly, just let them know when you place your order. 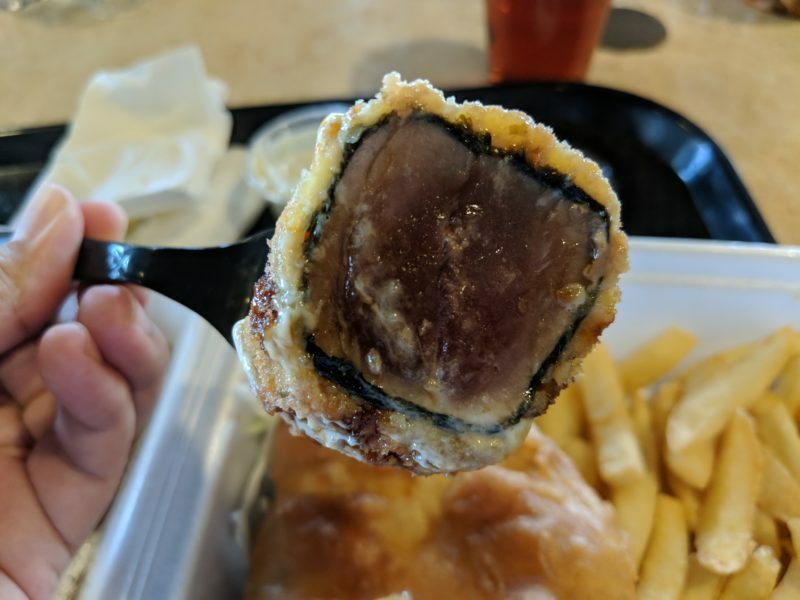 A bite of ahi katsu. Fish and Chips. What? Really, Amy?? It’s the truth. 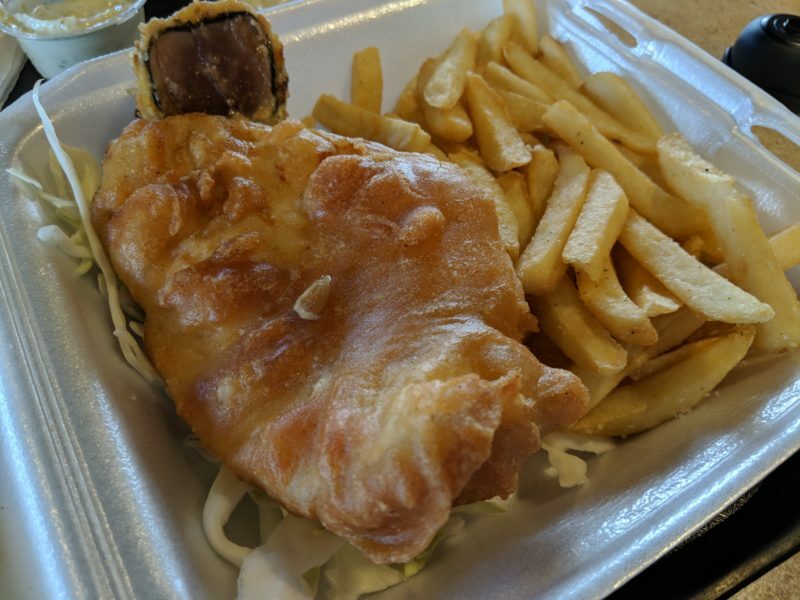 Hawaii doesn’t have a lot of options when it comes to (really good) fish and chips and Nico’s Pier 38 does a pretty darn good job here. Their fresh fish is beer-battered and has a good crunchy layer to it that is flavorful with an awesome texture. It’s also really hot when it comes out. I love that I can break the fish open and see steam rising out of it! If the other seafood options seem a little too raw for you, definitely give Nico’s Fish and Chips a try. It always hits the spot for me and I look forward to it every single time! 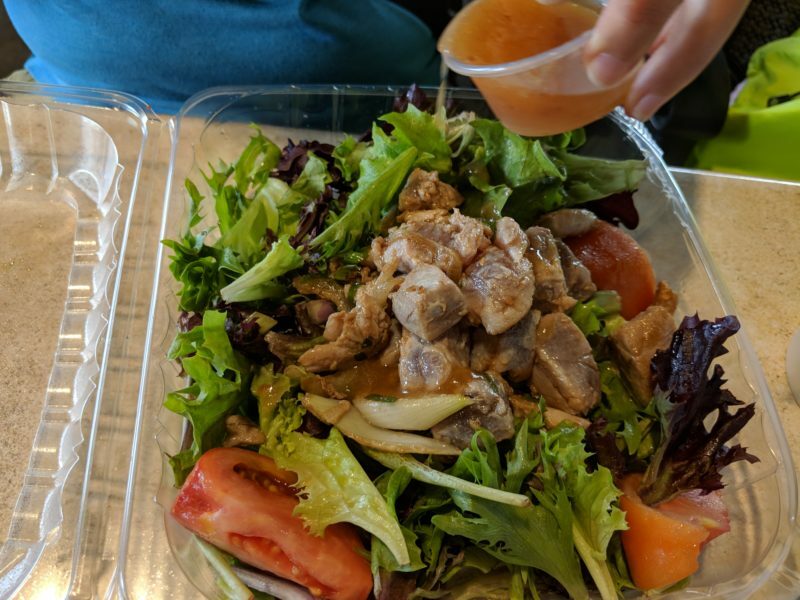 Foodland – There are several Foodlands on Oahu, but it’s often noted as your one-stop shop for poke. They always have a ton of choices to salivate over and the prices and selection are often very good. I personally love their poke bowls – your choice of poke on top of a bowl of rice. Take it back home or to your hotel and you’ve got a really nice meal in store for yourself! You can check out their poke page here. Fresh Catch – This is another place that’s popular for their poke, but are also well known for their plate lunches. This place can get really crowded but you know it’s a good sign when you see locals lining up here for their food. Fresh Catch gives off a really hole-in-the-wall type feeling so if you’re into cheap eats, then this is really one to consider. Karai Crab – I haven’t been here (yet) but definitely want to plan an eating excursion here soon! I ADORE crab and fellow lovers of crab, shrimp and clams should join in on the fun. I’ve heard only good things about Karai Crab from both friends and the internet so it should be epic!